Steve Marsh Stood Up For His Rights......and Ours! A HUGE THANK YOU!!! It is so inspiring and encouraging to see the support come flooding in and we would like to put out a HUGE thank you to each and every person around the world who has donated, and helped promote the fundraiser. Please keep sharing the campaign and spreading the word .........thank you! 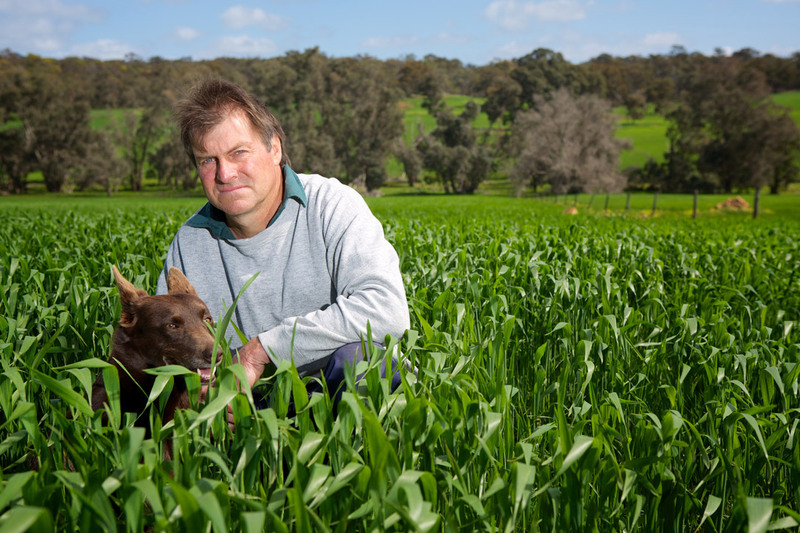 Steve is an organic farmer from a farming community in Kojonup, a small town in the south of Western Australia. In 2010, the state government of Western Australia lifted the ban on GM canola allowing for the commercial cultivation of this GM crop for the first time. As a result some farmers, including Steve Marsh's next door neighbour, began growing GM canola. This resulted in GM canola being blown onto Steve's farm. 70% of Steve's farm was contaminated and he lost his organic certification. As Monsanto have signed a no-liability agreement with every GM farmer, they take no responsibility for any contamination. Governments decided that no strict liability legislation was necessary as common law would provide compensation for any economic loss caused to GM-free farmers. In spite of the fact that his neighbour was a long time friend, Steve decided he had to stand up for his right to farm GM free, and felt that his only option was to take the case to court to reclaim losses. The court case was held in February 2014 and in May the judgement was handed down. Steve lost the case. Not only has Steve lost a substantial part of his income he also needs to pay legal costs and court fees. In September the Judge's made the decision on costs lifting the normal restraints on cost limits, and Steve now faces payment of an additional $804,000. An appeal has been lodged and will be heard early next year but in the meantime costs for the first trial have been set at $804,000. Australia has no legal protections in place for organic farmers whose production systems including land , crops, animals and produce get contaminated. Costs in any court case are always huge, and there is a massive financial risk for anyone involved in seeking justice through the legal system. Steve knew this, but decided to use such a solid case to set a legal precedent to make it easier for other GM-free farmers in the future. 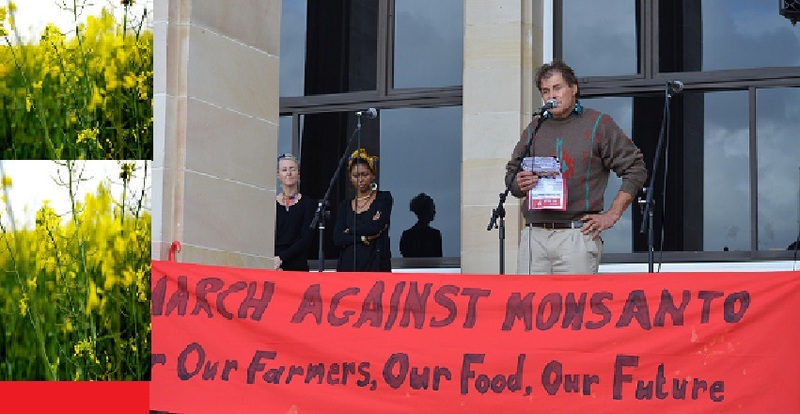 The GM farmer is being supported by pro GM lobby group the Pastoralists & Graziers Association and Monsanto has not denied assisting in this funding. The Safe Food Foundation have raised money for Steve Marsh with huge support and donations from thousands of people around the world. But to pay this extra $804,000 Steve and his wife Sue would have to sell their farm. Together We Can Help Steve Keep His Farm! Costa Georgiadis said “Steve Marsh is one person, but Steve Marsh is everyone". Steve is representing all of us who want the right to grow and to eat GM-free food. Steve is a quiet and unassuming man. The publicity and the ongoing battle, in court and out, must be taking their toll. For him to then lose his family home and his livelihood is unthinkable. We can't let that happen! Let us all show our support by making sure that Steve does not have to sell his farm. We need to raise an additional $804,000. That is a huge amount for one man alone - but Steve Marsh is not alone, he is all of us, and with your help we can make this happen. 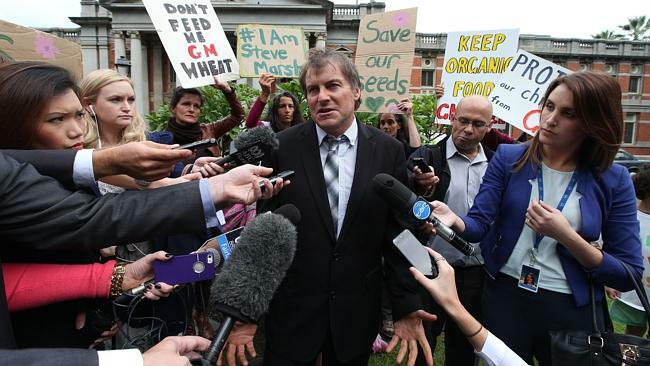 A win for Steve is a win for Australian Organic and GM-free farming – it is setting a precedent. Let's unite – please support Steve. All support is greatly appreciated, no matter how small. Sharing the link with your friends and colleagues also helps to raise awareness and it will help us reach that target. All monies raised will be paid directly into the Safe Food Foundation Steve Marsh Benefit Fund. In the event of Steve Marsh winning the appeal, or of more funds being raised than are required, the extra monies will go into a legal fund held by The Safe Food Foundation to assist other farmers and/or will be used to campaign for farmer protection laws to stop another case like Steve's coming to court. Food Freedom Australia is an independent NFP community group based in Western Australia. Steve Marsh thanks everyone for their ongoing support from the steps of Parliament House in Perth at a recent event. Steve's battle is for all of us and the right to choose GM-free farming and GM-free food. His home and livelihood may be lost to cover huge legal costs - support Steve, support your right to choose.